Dulled and scuffed topsides from rubbing fenders? These big Master Fender Covers cure this big problem. 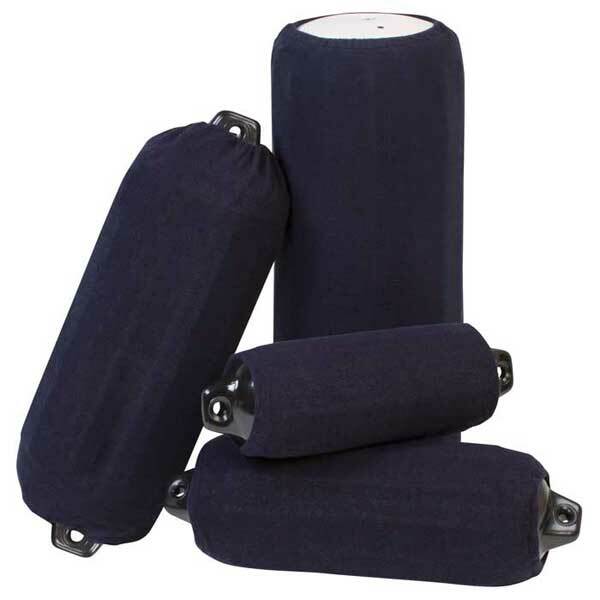 Master Fender Covers are specially designed to protect your boat's topsides and hull from fender scuffing and dulled finish and reduce the need for expensive gelcoat repairs. They are made from a premium stain resistant, non-abrasive, loop-knit acrylic fabric, which is both durable and fade resistant. 6" x 15" HTM1 ,G3, G4, F1 Big B 6" x 15", Super Guard 5 1/2" x 20", 6 1/2" x 22"
10" x 26" HTM3, G6, F3 Big B 10" x 26", Super Guard 10 1/2" x 30"
12" x 34" HTM4, F6 Big B 12" x 34"
15" x 41" F7 Tuff End 15" x 41"
20" x 50" F10 Tuff End 19" X 50"
24" x 57" F11 Tuff End 24" X 57"
32" x 77" F13 Tuff End 32" x 77"